The American diplomat to U.N. budget negotiations is either a sensible bureaucrat or a total party pooper, depending on your perspective. Ambassador Joseph M. Torsella, who represents the U.S. on the U.N.'s budget committee, said Monday that the tense process of negotiating the world body's annual budget is made more complicated by the number of diplomats who turn up drunk. The U.S. is making "the modest proposal that the negotiating rooms should in future be an inebriation-free zone," Torsella said during a private meeting of the budget committee. The U.S. mission released a transcript of his remarks. Torsella proposed "saving the champagne" until the negotiations ended. Some diplomats have challenged this account of the negotiations, saying the main negotiators were sober, reports Foreign Policy magazine. Whatever the truth, the unusual public upbraiding reflects a deeper rift over deciding how and where the U.N. spends its money. Normally, the budget is approved by consensus, giving the wealthiest contributors veto power. 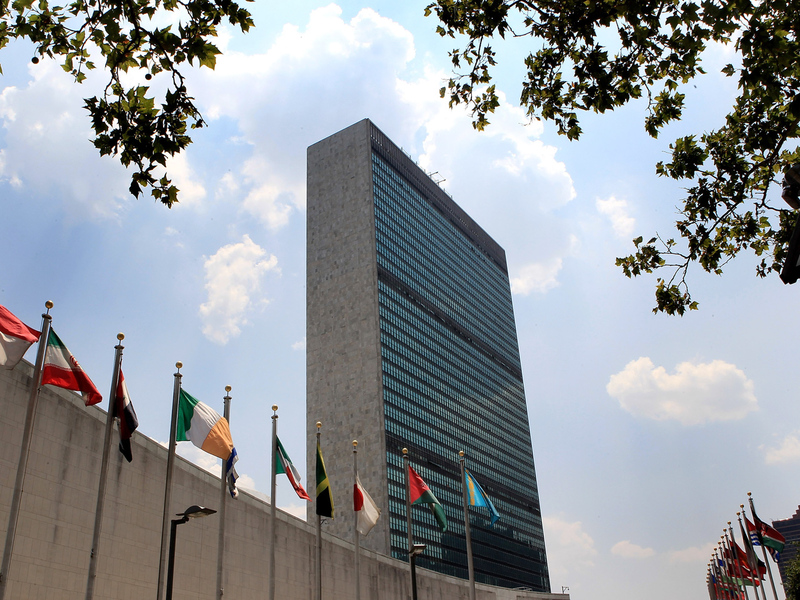 (The U.S. gives far more to the U.N. than anyone else, an estimated 22 percent (PDF) of its overall contributions.) Recently, however, the "Group of 77" developing nations (which actually is composed of 132 countries now) has sought to approve things by majority, giving them more sway, reports Foreign Policy. It is unclear still who, exactly, was so drunk as to impede negotiations, and many reports say it is unfair to pin the blame on the "Group of 77," which some have tried to do. At least one diplomat said "the note-taker who was meant to be recording the talks was so intoxicated he had to be replaced," reports Raw Story. Still other diplomats have described the drinking as an integral part of the negotiations that can't be blamed entirely on the developing countries' representatives. "It's not just Africans. The Russians do it," a diplomat told Foreign Policy. "There's nothing new or surprising about this. Canada used to bring whisky. The French used to bring bottles of wine." Even Torsella acknowledged the that some tipsy negotiating partners have left the U.S. "truly grateful for the strategic opportunities" presented.